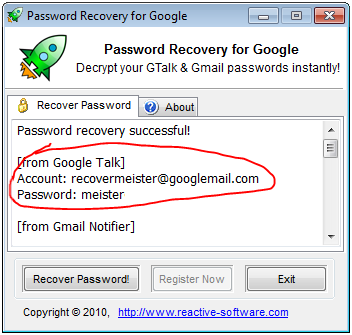 Google Talk password recovery - instantly find and decrypt your GTalk password! 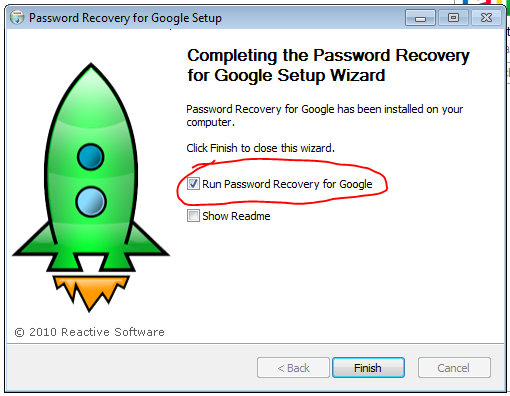 There is a simple way to check whether your Google Talk passwort can be ripped from the system. 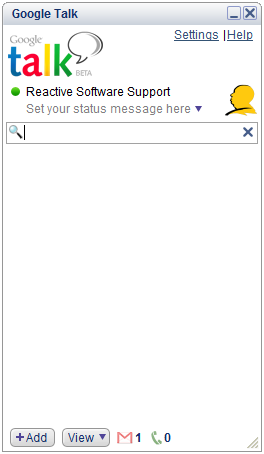 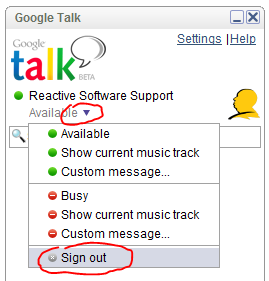 If it logs you in automatically without having to enter your GTalk password then your Google Talk password is saved on your computer and can easily be recovered. 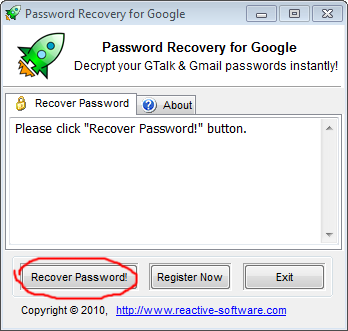 This section describes how to find and restore Google Talk password if you already checked that it is saved on your system and that you can recover it. 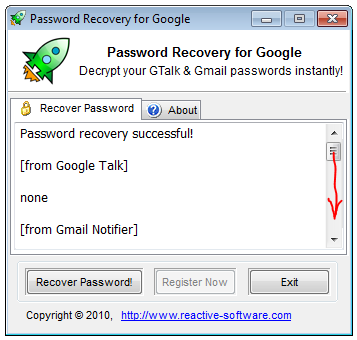 You can now go into your Gmail account and change Google Talk password to something that is easier to remember (but not to easy for hackers to guess!). 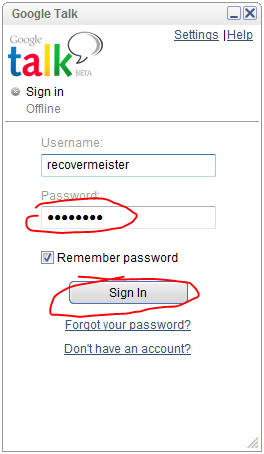 See our change password Gmail article.